From one of America's greatest and most iconic writers: an honest and courageous portrait of age and motherhood. Several days before Christmas 2003, Joan Didion's only daughter, Quintana, fell seriously ill. In 2010, Didion marked the sixth anniversary of her daughter's death. 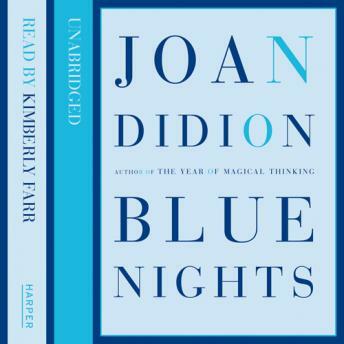 'Blue Nights' is a shatteringly honest examination of Joan Didion's life as a mother, a woman and a writer. A profound, poetic and powerful book about motherhood and the fierce way in which we continue to exalt and nurture our children, even if they only live on in memory. 'Blue Nights' is an intensely personal, and yet, strangely universal account of how we love. It is both groundbreaking and a culmination of a stunning career.